Have you ever in the condition that try to get wifi or 3G connection in some place, and you want to know how good the speed it is, so you can go through online it? Yes, that is the nature of mobile characteristic. Connection is a need for smartphone nowadays. 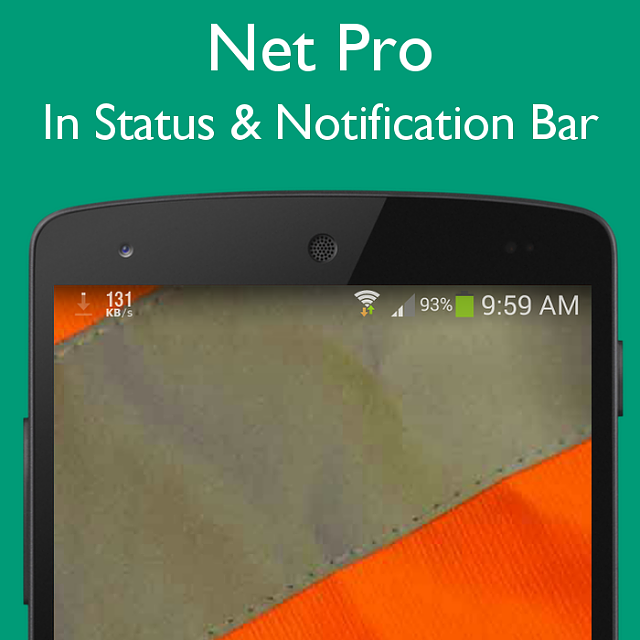 We are pleased to introduce Net Pro. Net Pro is real time network monitor that taken place on top of everything. You can monitor the mobile connection to internet or network. And a lot of features in there to make you comfortable in accordance with your personalisation. Net 1.0.2 has new feature to display speed connection in the status/notification bar. Welcome to the forums. Thanks for sharing? Can this be used to measure any type of connection? You only listed WiFi and 3G, that is why I am curious. Yes it could measure all type connection. I think I will change some description to my app. Thank you. Who else is not on social networks? Can I disable these Apps? Is a RAM Cleaner app necessary on a Note 3? Smart silence mode APP!!! Exclude some contacts from silence mode!